2015 has been a stellar year for music. We’ve had great releases from Drake, Lana Del Rey, Tame Impala, Kendrick Lamar, and your soon-to-be favorite pop artist, BØRNS. Garrett Borns, who goes by the moniker, BØRNS, is no stranger to music. In 2011, he performed songs on his ukulele during a TEDx event, which is pretty awesome. He started gaining traction last year with his EP, Candy, and the hit, “Electric Love,” which got some major love from Taylor Swift. Last week, he released his debut LP, Dopamine and boy, is it good. It takes a lot for me to be completely captivated by an album but as soon as the opening track, “10,000 Emerald Pools” started playing, I was hooked. BØRNS was influenced by many different sounds and genres and it’s evident throughout the album. The album goes from synthpop to introspective rock, but it somehow works. “Past Lives” is heavily influenced by 80’s synthpop and the catchy melody will make you dance like you’re in a John Hughes’ movie. “Holy Ghost,” my favorite track off the album, has this funky, sensual rock sound when mixed with BØRNS’s unique vocals, makes for a really killer track. To be honest, “Holy Ghost” is one of the best songs I’ve heard this year thus far. When I first listened to it, I thought to myself, “Where has this been my whole life?” Now, I can’t stop listening to it on repeat. Overall, Dopamine is a solid debut album. It has catchy melodies, impressive vocals (the “Past Lives” intro, anyone?) and delightful lyrics. I’m interested to see the direction he takes his music in and he can definitely be a force to be reckoned with in the future if he plays his cards right. Sadly, he has already stopped in Houston on his tour but whenever he comes back, go see him live! I was able to see his set during ACL and it was definitely a standout of the weekend. He puts on a fun, enthralling show and he sounds even better live. 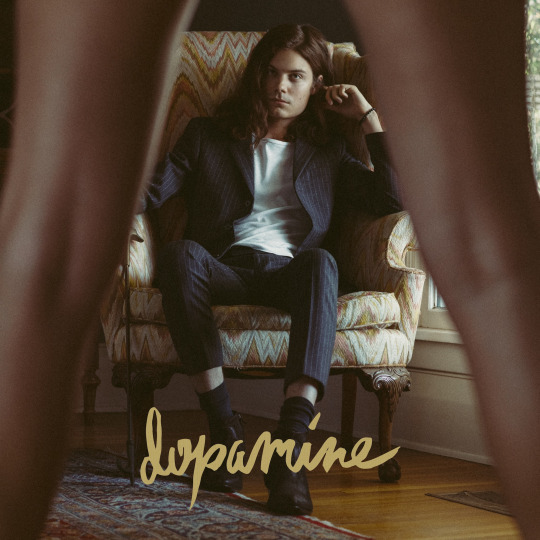 Give the album a listen below and get ready to fall in love with BØRNS. Previous Rae’s Raves: Demi’s Confident, Selena’s Revived…What Else Is Happening! ?